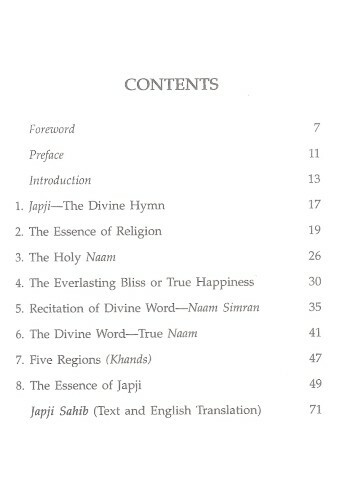 The original Punjabi text of the Japji is exquisitely written and it is impossible to translate it without some loss. An effort, however, has been made in these passages to present to the public a literal translation of the text. Where the reader 'might lose the true import, recourse has been made to a free rendering. The japji deals with the practical aspect of the problem of spirituality more than with mere theory. It is not merely a work of literature. Earlier translations into English have tended to ignore this end and have often failed to convey the true import of the original. 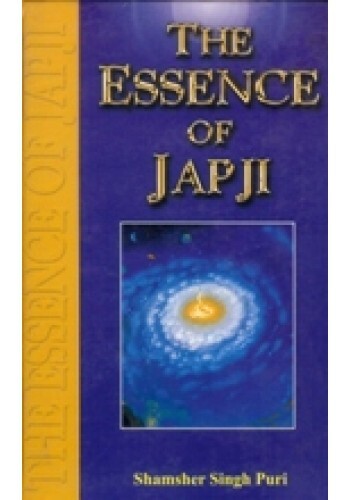 In these pages an effort has been made to concentrate upon the message that Japji contains rather than to indulge in a literary show. It has been prepared keeping in view that it will help all men irrespective of the religion that they may profess. True religious thought is ingrained in the hearts of all beings, it is inherent and appears in the form of search after Peace Everlasting and Joy Supreme. When this awakening comes to man from within, he takes to the religious pursuits as prescribed by one or other form of religion. He also begins a keen and passionate study of the holy scriptures. These are the elementary steps towards God-realization and are necessary. But he who does not go beyond this stage, thinking it to be the be-all and end-all of religion, never enters the realm of higher consciousness. There are primary means. He has to advance a step further, to quiet the spiritual unrest of his mind. Man has to take to the subjective side of the things, ultimately to commune with Shabad Bani. This Eternal Divine Music is the cause of all creation, and permeates it. Christ refers to it as the Word, the Mohammadan saints as Kalma, Hindu scriptures as Shruti, Nad or Akash Bani. The science of 'the word' has been taught by almost all the saints. It is the quickest, the easiest and most natural of all the sciences that exist for attaining complete oneness with Lord (Satguru). May Lord bless the readers of this humble work which has been written to afford food for the soul that aspires to take a step further into the inner realm of the spiritual life. These teachings are addressed to all humanity and no sectarianism is inculcated. Loving acknowledgement is made to the teachings of Gurus and writers like Bhai Mani Singh Ji, Dr. G.S. Talib, Dr. Gopal Singh Dardi, Sardar Manmohan Singh, Sant Kirpal Singh Ji and Principal Teja Singh Ji who have explained Japji so well. 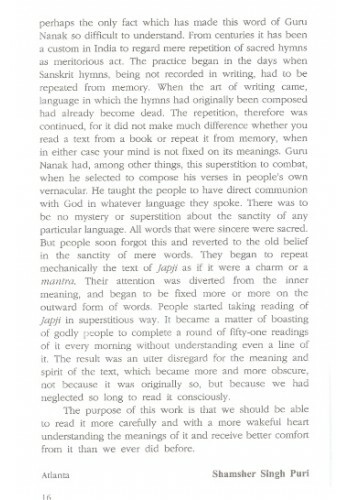 Preface To 'Daily Prayer Gutka' The sacred hymns in the form of Gurbaani, uttered by th..
Japji Sahib - Vichar Vyakhya - An excellent Hindi translation of Japji Sahib by Dr. Manjit Kaur . 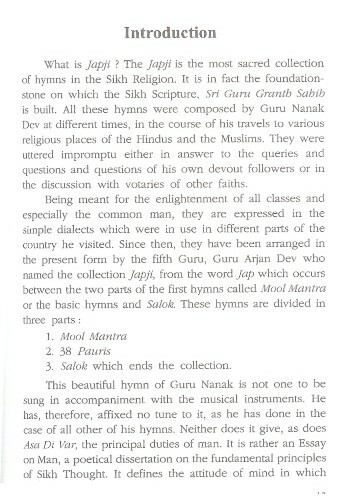 It..
Introduction To Book 'The Message of Gurbani' Book By Dr Gurbaksh Singh 1. Japji, ..
Summary of 'Japji - The Sikh Morning Prayer' Book By Bhagat Singh Japji, the morning pr..
Summary of 'Guru Nanak Japji , A Rendering In English Verse' By Jaswinder Singh Chadha At o..